Travis CI is a continuous integration service used to build and test software hosted on Github. In this blog post I'll briefly cover the subject of Continuous Integration and explain step by step how to deploy your project to Github pages using Travis. 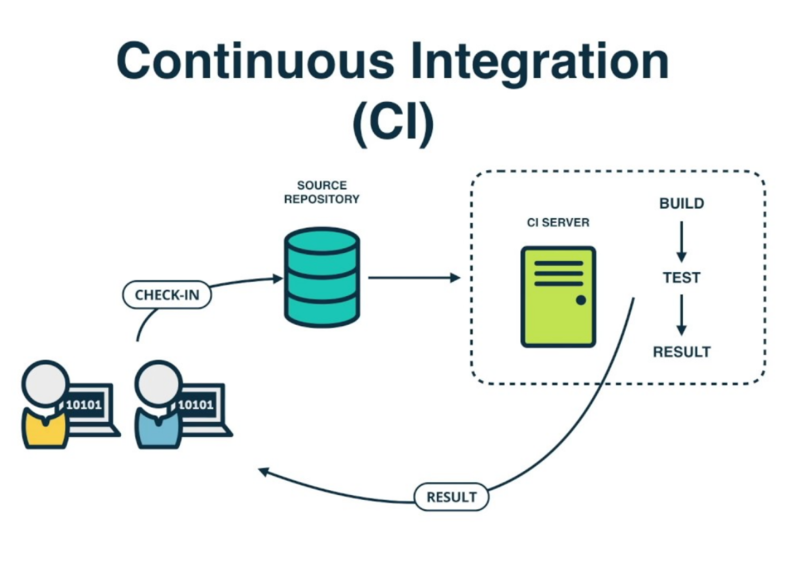 Continuous Integration, or CI for short is the development practice of automating the build and testing of code every time a team member commits changes to their version control system. In my specific case, I wanted to automate the deployment process for the website you're currently visiting. In other words, for each new article or change to the website itself, I wanted to test, build and deploy it to Github pages to keep it up to date. I turned to Travis CI for multiple reasons, it's free, easy to set up and the web client is practical. So, how did I do exactly what I wanted? Simply go to Travis-ci.com and Sign up with Github. Accept the Authorization of Travis CI. You’ll be redirected to GitHub. Click the green Activate button, and activate the repositories you want to use with Travis CI. To do so, add a .travis.yml file at the root of your repository, this file will basically tell Travis what to do and in what order. # Lifecycle job, will execute the actions bellow before the build and deployment. Note that the $GITHUB_TOKEN must be set up directly in the repository's Settings on the Travis client. To get that token, follow these brief instructions. To do so, start by adding, committing and pushing your .travis.yml file to Git. You can now go back to the Travis client and see your build status. If said build fails for reasons you cannot understand through the logs, feel free to check out common build problems. If not, your Github page is now up and running thanks to the deploy statement in your configuration file. The deployment is visible as one of the very last logs of your build. I hope this was useful to some of you, as discovering CI has truly made my development process more enjoyable as a whole.